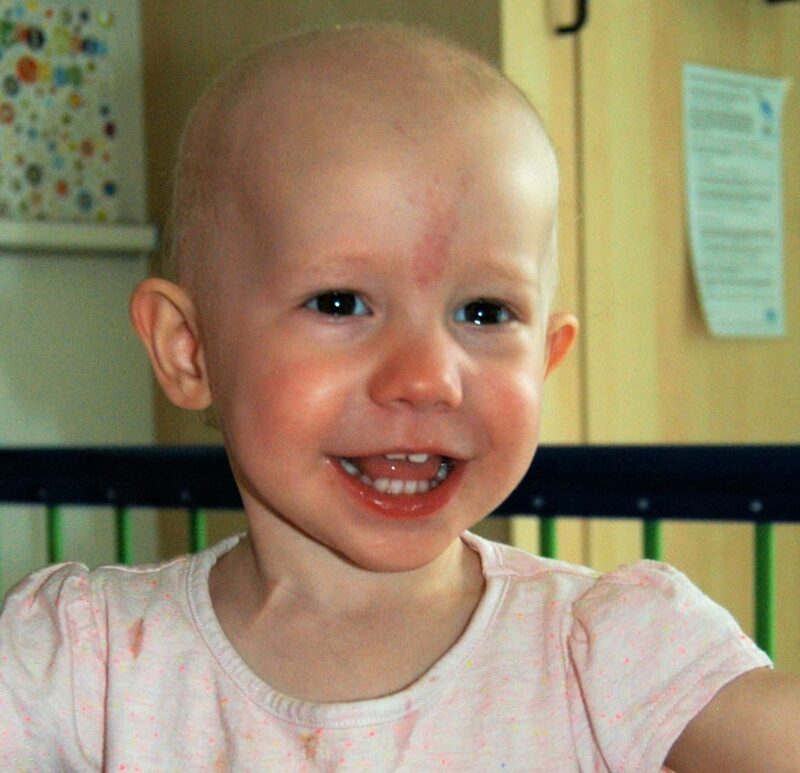 Just after her 1st birthday, Lily was diagnosed with a soft tissue tumour. Her mum, Clair, shares Lily’s story and stresses the importance of childhood cancer research in helping to one day find a cure for children like Lily, so other families don’t have to go through such heartbreak. “Lily was born on 10th February 2011. She has two older brothers called Oliver and Rowan. Two weeks after Lily’s 1st birthday, we found a lump on her left thigh. It was about the size of a small egg and it didn’t seem to be bothering her – it really just appeared overnight. “After a trip to the doctors to get it checked out, we were admitted to the Royal Bolton Hospital for a couple of days for treatment for an infection. During her stay the hospital carried out further tests to establish exactly what the lump was. It was after having an ultrasound scan they decided it must be a tumour. We were then told to go home and pack for a few days stay at The Royal Manchester Children’s Hospital in Ward 84. “After further tests and examinations, Lily was finally diagnosed on 13th March with a tumour called Rhabdomyosarcoma, which is a soft tissue tumour mainly found in boys. She started a six-month course of chemotherapy, so had to stay in hospital every three weeks for three days. She also had surgery in June to remove the tumour which, by this time, had reduced in size significantly. 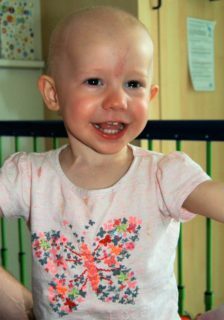 “Lily sailed through her treatment and on 12th September she completed her last course of chemotherapy. Then on 17th October, she had a temperature and had to be admitted to hospital for a couple of days to be treated for an infection. But a week later, Lily’s temperature had risen again and, after more tests, we were given the devastating news that Lily had relapsed and they had found four more tumours on her lungs. The cancer was back. “Lily was transferred the following day back onto Ward 84 to start more chemotherapy, but her breathing was deteriorating fast and she had to be put on oxygen. Then on Saturday 3rd November, Lily was transferred onto the Paediatric Intensive Care Unit and was sedated and put onto a life support machine to help with her breathing. Lily passed away on 22nd November 2012 in the arms of her mummy and daddy.